The NCAA has cleared San Diego State’s men’s basketball program of any rules violations, the school announced Tuesday, thanking the press for playing the case straight. 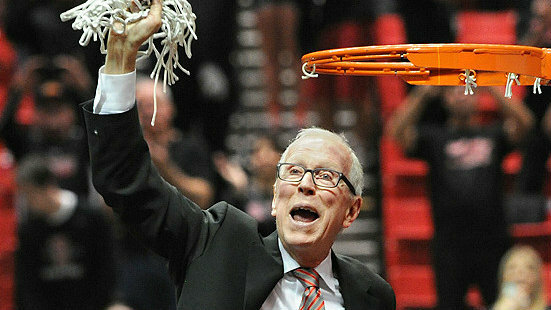 “I am particularly grateful to those national and local media outlets that allowed this process to play out and refrained from sensationalizing unsubstantiated allegations,” said coach Steve Fisher. In its statement, the school said the NCAA director of enforcement had notified SDSU that allegations made against the program were not substantiated. Fisher said he was grateful to SDSU President Elliot Hirshman, athletic director Jim Sterk and others. “I am pleased that this confirms what I and our administration have known all along, that as a staff, we take great pride in representing San Diego State University and the men’s basketball program, and conducting this program with the highest integrity,” Fisher said. The U-T said it learned that part of Fagan’s report to the NCAA focused on an investigation commissioned by SDSU in late 2014 that originated from allegations of academic impropriety made – and later changed – by Ruth Patterson, who married Aztecs assistant coach Justin Hutson in 2011 and is now finalizing a divorce. Patterson initially began answering questions from a U-T reporter and then declined comment. Citing NCAA policy, SDSU said it cannot provide additional details about the inquiry.